Ethan Stiefel is an internationally recognized Dancer, Instructor, Coach, Director and Choreographer. Stiefel served as the Artistic Director of the Royal New Zealand Ballet and Dean of the School of Dance at the University of North Carolina School of the Arts (UNCSA). At age 16, Stiefel joined the New York City Ballet where he quickly rose to the rank of Principal Dancer. He was also a Principal Dancer with the Zürich Ballet and American Ballet Theatre. He made numerous appearances as a guest artist, including the Royal Ballet and the Mariinsky Ballet. Stiefel gave his final performance with ABT in July 2012. He starred in the feature film Center Stage and Center Stage 2-Turn It Up. Television credits include The Dream, Le Corsaire, Die Fledermaus and Born to be Wild. Stiefel created a new staging of The Nutcracker for the UNCSA. For the RNZB, he choreographed Bier Halle and collaborated with Johan Kobborg on choreographing an acclaimed production of Giselle. He served as Choreographer on the STARZ network television series, Flesh and Bone, scheduled to air in 2015. His Royal Highness Crown Prince Albert of Monaco presented Stiefel with the Statue Award of the Princess Grace Foundation in October 1999. He received the prestigious Dance Magazine Award in December 2008. 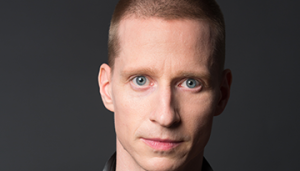 Prix de Lausanne prize winner in 1989, Ethan Stiefel was a member of the 2015 jury. What is your best memory of the 1989 Prix de Lausanne? I feel very fortunate to have had the chance to perform in a place such as Tokyo, Japan. Undoubtedly, I would never have visited Tokyo at the age of 15 without the Prix de Lausanne. This experience was not only profound for me as a young artist, but also as a person, as it ignited a lifelong interest in the country of Japan and it’s culture. What was your greatest fear during the 1989 Prix de Lausanne? Not dancing on the level I knew I was capable of. Do you have an advice for the 2015 Prix de Lausanne candidates? Remember to set your alarm clock.